The Census is coming so start prepping now! We’re not talking canned goods and barrels of bottled water. We’re talking library expertise – using every resource at hand to build strong communities. 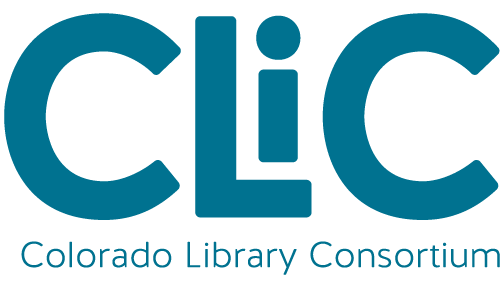 CLiC is gearing up to connect libraries to an array of resources designed to help you go beyond survival mode and be a key player in getting a complete count in your community. Census folks at both the State and Federal level recognize that libraries will be a powerful partner in getting a complete count for Census 2020. As a result, libraries across the state have a seat at the planning table on both local and state level Census committees. Sara Wright, CLiC Deputy Director, is a member of the state Complete Count Campaign (CCC), a governor’s commission established to increase awareness about Census 2020. Here at CLiC we are prepping our website to be Census Central for Colorado libraries. In the coming months we’ll start curating a collection of resources. These will fall into two broad categories, informing your community AND training your staff. The go to authority in Colorado for Census 2020 is the State Demography Office where you will find the official Colorado Census 2020 web page. Take a look at the fact sheets prepared by the Demography office. Want to get involved in your community? Need some basic Census 101 info? What about guidance on the proposed citizenship question? There’s a fact sheet for that! Best of all, there is a fact sheet just for public libraries! Here are a few more Census 2020 resources to get your started. ALA Advocacy & Public Policy web page. Read “Libraries and the 2020 Census” created by ALA.
Visit the US Census Bureau site and sign up for email updates. CLiC kicked off our census support efforts at the 2019 Spring Workshops with a session by Adam Bickford of the State Demography Office, “Demography, Libraries and the 2020 Census.” The presentation is available on our website. Adam reminds us that “the census is a cornerstone of our democracy” and shares facts on why the census is important, easy, and safe.